إذا كنت تبحث عن فندق بموقع جيد في المدينة، فقد وجدت ضالتك في فندق ملبورن ماريوت . يقع الفندق على بعد 1 Km من مركز المدينة، ويؤمن الوصول إلى أهم مراكز المدينة. يوفر الفندق بفضل موقعة الجيد وصولاً سهلاً إلى أهم معالم المدينة.
. يقدم فندق ملبورن ماريوت خدمات لا غبار عليها وكل أشكال اللياقة وحسن الضيافة اللازمة لإسعاد ضيوفه. يمكن لضيوف الفندق الاستمتاع بالميزات التالية على أرض الفندق: واي فاي مجاني في جميع الغرف, خدمة غرف 24 ساعة, محطة شحن السيارات الكهربائية, خدمة التنظيف يوميًا, مدفأة. بالإضافة لهذا، تتضمن كل غرف الضيوف مجموعة واسعة من وسائل الراحة . بعض الغرف توفر حتى تلفزيون بشاشة مسطحة, اتصال لاسلكي بالإنترنت, سياسة التدخين - غرف لغير المدخنين متاحة, مكيف هواء, تدفئة لإرضاء أكثر الضيوف تطلبًا. يقدم الفندق خدمات رائعة كمثل جاكوزي, مركز للياقة البدنية, ساونا, مسار جولف - ضمن 3 كم, مسبح داخلي لمساعدتك على الاسترخاء بعد نهار طويل من النشاط والتجوال في المدينة. إن فندق ملبورن ماريوت هو خيارك لخدمة الفنادق الراقية في المدينة. تعتمد الأسعار على الإشغال الفردي أو المزدوج. تنطبق رسوم إضافية على كل نزيل إضافي. Great location, clean room, but check your credit card to avoid wrongly fully charges. I booked and paid via Agoda. The hotel still charged on my CC, after several phone call and waiting for days for the refund. The staff are very polite and helpful. When I checked in, the staff introduced the best Chinese restaurant in the town for my dinner. The hotel has easy access to the city tram that we can look around in the city. Excellent experience for my stay in downtown Melbourne . 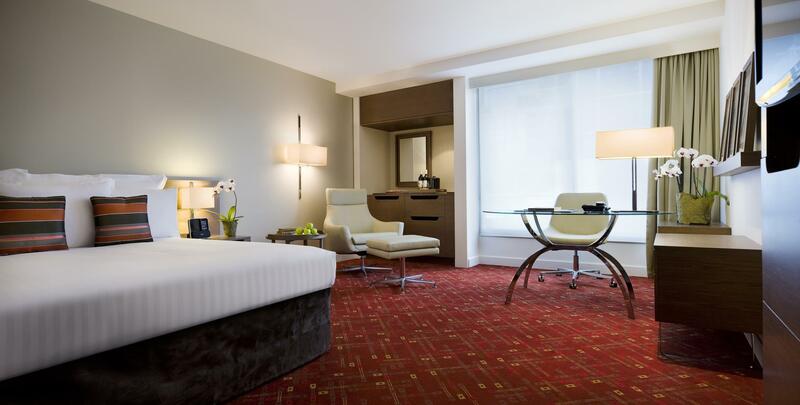 I selected Marriot for a one-night business stay-over because of its proximity to my meetings. Managed to get a good deal off Agoda for the City View Room and was pleasantly surprised by the well appointed room. Definitely scored there. Then I realized that it was also very close to a shopping stretch, the theatre stretch and has all types of restaurants within walking distance. What a bonus! Too bad it was a one-night business trip, otherwise I would certainly have spent some time exploring just the area around the hotel! Will be back for sure. this was the first time to stay in this hotel, so i wasn't sure what to expect when i booked the room but i was pleasantly surprised. 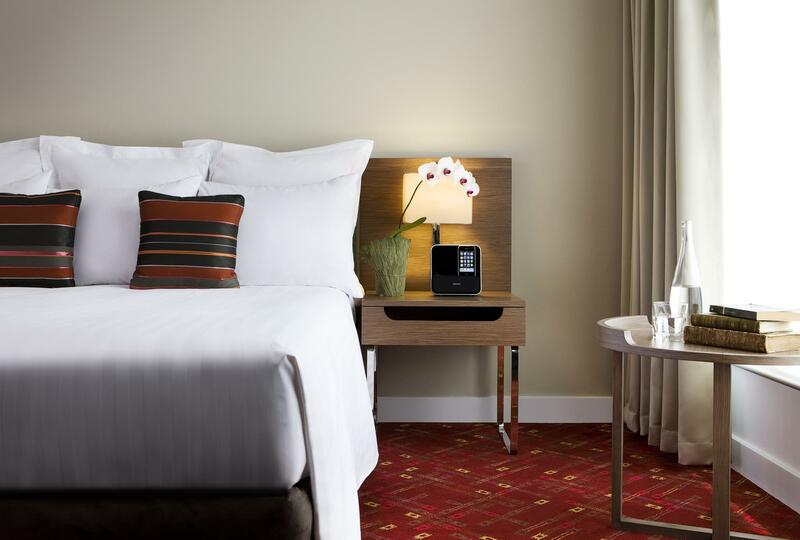 beautiful rooms, with flat panel tv screens and a modern bathroom. i recommend this hotel for all visitors. if i had the time i would use the decore in this hotel to use in my apartment. very close proximity to melbourne's shopping area. We really enjoyed our stay at Melbourne Marriott Hotel. It's great location being in the vicinity of Chinatown, restaurants, shops, tram stops make this a really ideal place to stay. We even had a patio outside the room and the kids enjoyed just sitting outside. Our check in was fast with no fuss and the staff was really friendly. We would definitely stay at this hotel again on our next visit to Melbourne. Rooms are big and clean. 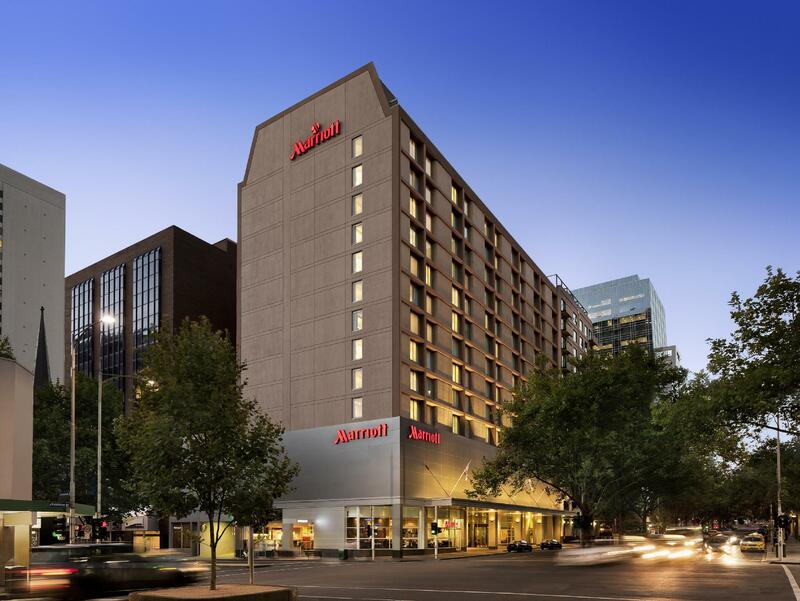 Melbourne Marriott Hotel is situated at a great location and it's so easy to move around from there to various places of interest and shopping. There was a wide variety available on the buffet breakfast table and everything's prepared fresh and warm. There's also free wifi available at the Lobby area. I had to ask to update my key to get into the executive lounge. I did not realize they had a lounge until 2 days into my stay. It’s s nice enough hotel but I did not get what I paid for on Agoda. Friendly concierge personnel. Walking distance to Chinatown. Compliment red wine too. We stayed for 3 nights at the hotel while we park our cars in the street parking slots right in the front of the hotel and along the park, just 5 minutes on foot (to avoid expensive rates at the parking building). The room was unexpectedly (very) large and was nicely appointed. We were very happy with the space we had as we had a couple of young children. The location of the hotel was OK, not really at the center of attraction, but most things were within walking distance. What made us happiest was the rate, which, in our opinion, gave us good value for money, considering the size of the room and its condition. From the moment I walked in, always greeted with smiles, all requests met immediately. Special mention of Suzanne at concierge desk,who went out of her way to make me feel welcome; Freddie of housekeeping and Lily in the lounge.The staff made my stay memorable. Loved the location, and slept so well on the wonderful comfortable beds! There was nothing wrong with our stay, but it wasn't the way it used to be. For the price, little things were missing, e.g.if you required "turn down" service it was to be ordered before 2pm (most people haven't even checked in by then). In the bathroom there was no shaving mirror and there were no biscuits with the tea & coffee (which just seemed mean)....just little things, and not the way it was. Sparkling Wine at Check in was unexpected and put big smiles on our faces! Location is central to great restaurants and Stage Shows. Staff are wonderful. We were met at the Curb by a huge welcome by staff. Then whisked to front Desk for check in and given chilled Sparkling Wine while the paperwork was done. This was a nice touch. Decided to upgrade to Suit. This Hotel has been refurbished since our last stay and have to say we do not like it too much...seems to have gone back to 70"s Brown!! The feel of the Hotel is bland and minimalist when we expect a Hotel that Claims 5 Star to be opulent with flowers arrangement / Greenery about...its somewhat like an office foyer. Rooms are not big and also bland. Executive Club has wonderful staff and reasonable selection of foods and drinks but is far too small for the number of people using it. Many people were unhappy with this during our stay. Fabulous. The hotel staff were incredibly friendly and personalised the experience with complimentary champagne and strawberries during check-in. A bottle of wine and handmade chocolates were gifted during our stay and we received a free room upgrade. I would certainly choose this hotel again. My stay was excellent. From the moment I checked in, I was treated very well. At the Checkin counter, I was given a glass of sparkling. During our stay, the staff paid very good attention to my partner and I. The friendliness of the staff was good as well. Will definitely stay there in the future. Large room, comfy beds, and great service. The room was very spacious and the bed was nice and soft. I was hoping to see a large bathroom with a bathtub, but the shower was good enough. The towels for some reason smelt slightly mouldy, but the room in general was very comfortable and clean! I especially enjoyed their customer service - front desk very attentive, and when I asked for extra slippers they delivered them to my room straight away with a smile. Location is superb, you can hop on the tram or walk around the city. I had an enjoyable stay - would come back again! i booked this hotel mainly because of location. staff and service were excellent. we were offered an upgrade (at a price)but took it anyway(wedding night). we received a complimentary bottle of champagne which was nice. we didn't eat there but every thing else was of high standard so i think that the restaurant would be too. We loved our stay from the moment we arrived until we left the next morning, we will definitely be coming back. The staff are lovely - the rooms are clean and have everything you could want or need. Just lovely. Everything goes well. Enjoyed! Staff very helpful, approachable & friendly. We only stayed 1night so time was very precious, here we only spend 5 minutes walk to downtown. Very convenience. Love it. Breakfast choices good, food was yummy. Spacious area for dining. Room is clean n feel cozy. Overall, we are satisfied and definitely going back to stay here again.